Lucia Journal is created by talented creative professionals, contributing writers, photographers, designers & artists. Below are some of the writers who contribute to our print editions and online. Read about us. Visit our websites and blogs. Connect with us. Interested in joining our tribe? Read our submission guidelines. Delight and inspire us. Feed our souls why not, yes please. A licensed acupuncturist, massage therapist, yoga practitioner and teacher, Cicely enjoys time with her husband, being in nature and exploring life through the eyes of her daughter. She dreams of a full night’s sleep, resuming a daily yoga practice and working in an integrative health care clinic. Currently she’s taking time away from her profession to practice the fine art of parenting. Connect with her at cicelyandree@gmail.com. A visual storyteller and writer, Emiko is from Seattle, Washington. In the spring of 2014, she gave away most of her belongings to travel the world. She shares her stories and photographs at anexposition.com. Sarah toggles between curating creatives as Lucia's online editor and creatively curating ideas and the words they live in as a writer. Juggling like this makes her very happy. She is delighted to meet you. Connect with her at sarah@luciajournal.com. Amanda is the author of Kiss Me, I’m Single and Be True to Yourself: A Daily Guide for Teenage Girls. She begins every day by sipping Japanese green tea and savoring dark chocolate and ends by practicing lettering in a oversized journal. She works as a personal trainer and yoga instructor, seeing clients in a private studio that she has named The Institute of Moves, Muscles and Eternal Optimism. A psychotherapist, writer, cartoon creator, and electric bike rider, Judy can verify from personal experience that the creative approach to everything is the cure for boredom, angst, fear, stress and self-doubt. Visit her at judyford.com and cartooncounseling.com. Karly Siroky is the founder of Karma, a brand strategy and visual design studio that helps nonprofits, small businesses and altruistic organizations place people and planet over profit. Her column offers a heartfelt look into life as a digital nomad, entrepreneur and servant leader of a creative team. Karly also serves as Lucia's design advisor, helping craft, guide and nurture our visual identity. 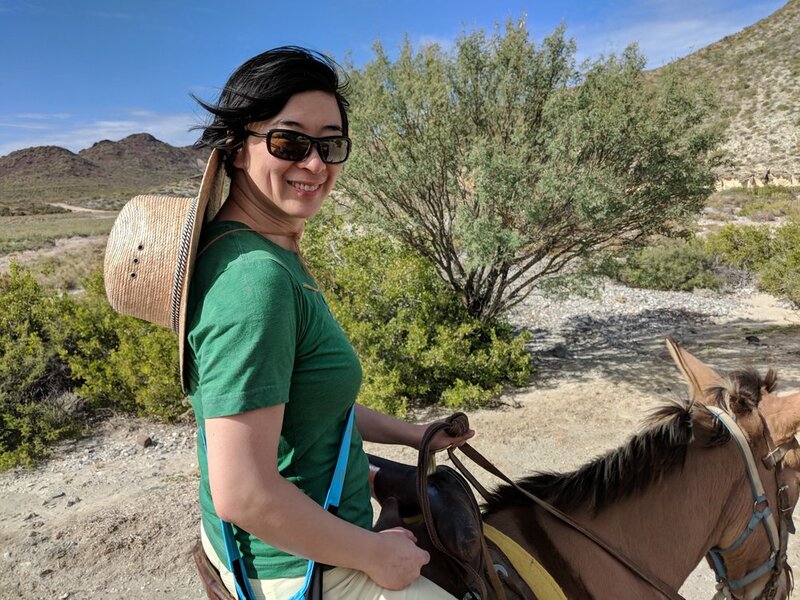 Alice is an author, photographer, meditation practitioner, and research science manager at a large e-commerce and cloud computing company in Seattle. She is a recovering perfectionist and over-achiever. Her life's mission is to be a bridge: between science and spirituality, between technology and business, between the inner and outer worlds. Alice shares glimpses of her quest for more beauty and ease as a regular contributing columnist for Lucia.